Autumn is here and many households will be preparing for winter by ordering central heating oil – which is why the Environment Agency is urging oil users to check their oil tanks to protect the environment and reduce the risk of potentially large financial losses. Environment Officer Alison Hyman explains: “Heating oil can cause serious problems if it gets into the environment. It can pollute rivers, harm wildlife and contaminate ground and drinking water. But it’s not just the cost of losing the oil that can be expensive, clean up costs can be large and are not always covered by household insurance policies”. Householders with domestic oil tanks should take the following action to ensure they are safe for use. • Arrange for the boiler and tank to be serviced at least once a year by an OFTEC technician. This should include any underground pipe work. • Monitor how much oil you use. If the volume of oil being used suddenly increases, there could be a leak. • Supervise oil deliveries. Never allow your tank to be overfilled, and do not order more oil than you can safely store. • Check your home insurance covers clean up costs on both your property and neighbouring land. Always notify insurers immediately in the event of a spill or suspected spill. • Secondary containment (such as a bund) will prevent oil from escaping into the environment if a leak occurs. 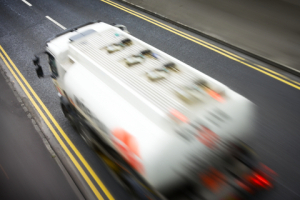 This is a legal requirement for domestic tanks that store more than 3,500 litres. • And if installing a new tank, site it as far away as possible from drains, streams and ponds. To report an oil spill or leak, people should contact the Environment Agency’s 24-hour emergency hotline on 0800 807060. This entry was posted in General and tagged autumn, Oil, tank check on October 14, 2014 by neil.stocks. Next month the UK Spill Association celebrates its tenth birthday with a conference and exhibition at Donington Park. The association has created the event to be both a spills forum and a vehicle to showcase the capability of the UK spill industry, and will be putting oil spills into sharp focus. The theme is ‘Oil Spills will always be with us as long as we live with oil; you need to know what we do and how we can help’. A two-day conference programme is planned, and although the main focus will be oil spills, other areas will be examined as well. Science and industry workshops are promised alongside exhibits by spill industry companies, demonstrations of spill response techniques and equipment. Industry & Loss Adjusters, Solicitors, UKSpill Members, Researchers and Academics. The event takes place on Tuesday 14th and Wednesday 15th October. Further information, including a full programme and delegate rates, is available here. This entry was posted in General and tagged spill, uk spill association on September 22, 2014 by neil.stocks.